If lower back pain does not start to subside within one to two weeks, or if there are troubling symptoms, medical care should be sought. A health professional will first identify a general source of pain and then determine the appropriate and effective methods of pain management. Additionally, if back pain begins after an injury immediate medical care is warranted to check for damage to the spine. To diagnose back pain, a doctor will begin by collecting a medical history of the patient’s current symptoms as well as lifestyle information, including sleep and habits and physical activity level. Where is the pain felt? Is back pain centralized in one area or does it spread? Is leg pain present with the back pain? Is low back pain or leg pain more severe? Does anything help alleviate low back pain? What types of pain management have been tried so far? Have there been previous episodes of lower back pain? A physical exam will also be done to assess the patient’s nerve function and mobility in the lower back and lower body. A doctor may ask the patient to hold certain positions or movements to see if they cause or worsen pain, such as raising one leg straight in front of the body or bending forward or backward. Sometimes diagnostic imaging tests (such as an x-ray, CT scan, or MRI) is recommended to better assess the anatomy of the patient’s spine and help guide treatment decisions. Combining information from the patient’s medical history, physical exam, and possibly diagnostic tests, the healthcare provider will recommend a course of back care that fits the patient’s needs. Physical therapy, which typically works to strengthen muscles and mobilize joints in order to better support the spine and minimize painful movements. Chiropractic adjustments, or manual manipulation, in which a chiropractor makes manual adjustments to the spine in order to relieve pressure and tension. Massage therapy, which aims to relieve muscle tension and muscle spasms that contribute to back pain. Many prescription pain medications interact with the way the brain receives pain signals, effectively cutting down on back pain. Opioid pain medications should be taken with caution and only for acute, short-term back pain, as they are easily addictive. 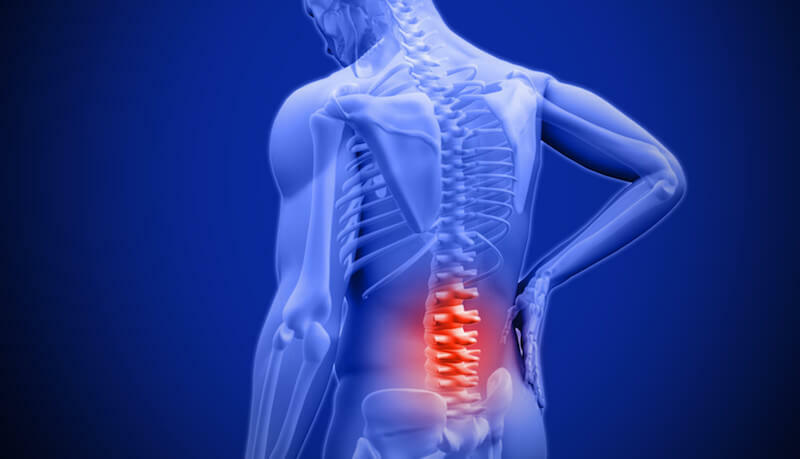 Epidural steroid injections, which deliver an anesthetic and/or steroid directly to the painful area of the spine, temporarily alleviating severe back pain. Spinal surgery may be recommended if the patient’s pain fails to respond to nonsurgical treatments, such as those listed above. Spinal surgery is usually the patient’s decision, which will be guided by a number of factors such as the intensity of back pain, how much the patient’s everyday life would be affected, and the type of surgery that can be done given the patient’s condition.